Best CBD Vape Oils & EJuices 2019 — CBD That You Can Vape! CBD is a cannabis compound that is extracted from hemp plants that has significant medical benefits — all without getting you high. CBD is legal almost everywhere in America, and has healing and therapeutic effects that can help with a variety of medical problems. With CBD vape oil, you get a convenient way to dose your CBD. Simply fill your tank with CBD vape juice or add it to your existing flavor, and you’re good to go! CBD has been shown to be extremely effective in the relief of pain, anxiety, and depression, and has shown amazing results in the treatment of epilepsy. To help you choose the CBD oil that is right for your specific needs we’ve gone ahead and done the legwork and have put together our list of the best CBD vape oils & ejuices for 2019. These CBD oils are the cream of the crop and are known to deliver excellent, effective relief. For those looking for something that actually works, CBD vape oil could be the answer. As one of the most well-known producers of premium CBD vape juices, Hemp Bombs are loved for their high potency, excellent quality, and wide variety of flavors. Using premium grade cannabidiol isolate that is extracted from European hemp, all of Hemp Bombs CBD vape juices are fully legal for consumption in all 50 states and will not flag on drug tests. You get all of the pure, therapeutic benefits of CBD — without having to worry about getting high or intaking THC. Available in convenient 16.5ml bottles, Hemp Bombs CBD vape juices also come in 60 or 120ml bottles for the higher dosage strengths. Now, when it comes to dosage, Hemp Bombs sell some of the highest concentration CBD vape juice out there, and you can get it in 75, 250, 300, 1000, 2000, or 4000mg strengths. Their high strength CBD vape oils are extremely effective, and their enticing flavors make it easy to want to vape them. Hemp Bombs carries an assortment of flavors, and fruit and dessert lovers will definitely find something suitable. Their Sweet Mango Seduction and Whipped Marshmallow Dream are incredible, and will provide the relief you need in a way that is pleasant to use. Hemp Bombs flavors are a 70/30 VG/PG split, and can be vaped or taken sublingually. Hemp Bombs produces some of the best CBD vape oils on the market and it is our top pick for the best CBD vape juices in 2019. The flagship product of CBDfx, their CBD vape oil additive is meticulously sourced from natural and organic European hemp plants and produced at their Southern California labs. CBDfx produces some of the most effective full spectrum CBD vape additives available on the market, and can be mixed with your favorite e-juice, taken as a tincture, or applied directly to your skin. CBDfx’s vape additives come in either 10 or 30ml sizings and are available in 60, 120, 300, 500, 1000, and 1500mg strengths. You can’t vape the additive by itself, and instead you’ll have to add it to your ejuice of choice. Nature’s Script CBD e-liquid is made with 100% natural & 99% pure CBD. It has a cleaner, purer taste due to their use of organic, premium-grade Industrial Hemp grown in the United States. Their CBD vape juice is also independently lab tested and contains zero THC. This means that there will be no psychoactive effects and you won’t fail a drug screen. Nature’s Script CBD ejuices come in 60ml bottles and are available in 75mg, 300mg or 1000mg strengths. Their vape oils are produced with a strong emphasis on quality and this becomes even more evident when you use them. With three different delicious flavors you’re sure to find one you that will satisfy your needs. Frequently named as one of the best in the industry, Nature’s Script make great CBD vape juices that are not only tasty, but effective too. Their juices come in a 70/30 VG/PG ratio and they can be vaped or taken sublingually. Nature’s Script is compatible with any eliquid tank and is an effective, THC-free way of getting your CBD. Diamond CBD is perhaps the most established company on our list of best CBD vape oils, and with good reason. Their strong emphasis on high quality, high concentration CBD vape oils has made them popular among those looking for an effective CBD oil product. Diamond specializes in full spectrum CBD vape juices, and carefully monitors and inspects the production process to ensure the utmost purity. Available in a variety of flavors, Diamond’s concentrates are both extremely tasty and extremely potent. Their CBD vape oil is available in 1 to 16ml concentrate sizes, and their Jungle Juice and Strawberry flavors have been a big hit. For those looking for an answer, Diamond CBD’s vape oils could be the product that you’re looking for. It’s no wonder why they call their premium line “Liquid Gold”. CBD Drip carry a great line of CBD vape juices that have attracted raving reviews with nothing but positive things said. Their CBD vape oil really works, and provides a full spectrum CBD vape oil at a great price. Their natural CBD is obtained from organically grown European hemp plants and extracted using the CO2 supercritical extraction method to extract all beneficial vitamins and nutrients. CBD Drip’s CBD oils come in a variety of different strengths to suit your needs: Gold (14.5mg), Platinum (58mg), and Onyx (140mg). They also carry a line named RIX which is a higher concentration CBD vape oil, and available in 500, 750, and 1500mg strengths. CBD Drip’s oils can be vaped alone, added to your favorite ejuice, or taken sublingually. If you dislike the taste of CBD vape oil by itself, you may want to add this to your ejuices as they do not add any flavorings to their products. CBD Pure use only the purest, highest quality ingredients in their CBD vape oils, and they’re proud to prove it. CBD Pure uses independent third party test results to check for potency and quality, and their stringent testing program ensures that you get the very best possible hemp oil. If you aren’t completely satisfied, they offer a very lenient 90 day return policy and will refund your purchase price. Their CBD oils come in 60ml bottles and are available in 100, 300 and 600mg strengths. If you’re not a fan of the earthy taste of CBD vape oils, we would suggest mixing their CBD oils with your favorite ejuice. While it isn’t an unpleasant taste by any means, some might not like the taste of CBD vape oils on their own. Green Roads mission is to offer users a safe and effective alternative to prescription painkillers and over the counter drugs by offering a natural and soothing way to obtain relief. Their CBD vape juice is some of the best in the industry, and their pricing is also on point. Available in 15ml bottles and in 100, 250, 350, 550, and 1500mg concentrations, Green Roads full spectrum CBD vape oil is made in America and highly potent. Green Roads CBD oils have worked wonders for many, and all of their oils can be mixed with your favorite ejuice or taken by themselves. Offering great customer service and fast shipping in addition to their already great CBD oil, you can’t go wrong with Green Roads. Established in 2015, Blue Moon Hemp has quickly grown to become one of the largest producers of high-grade CBD vape oil. Extracted from industrial hemp plants in Switzerland, Blue Moon’s CBD hemp oils are a full spectrum extract that allows for 60 different cannabinoids while still removing all of the THC. This means no fail on a drug test, and no psychoactive effects. Available in 30ml bottles in either 100, 200, 300 or 400mg strengths, Blue Moon’s CBD oils will definitely help you relax and calm your nerves. While Blue Moon carries a pure, flavorless CBD vape oil, they also carry a few additional flavors. Their “Red Devil” CBD oil is a delicious blend of strawberry and vanilla with hints of tangerine and mango for a tasty and exotic vape. Just as mouthwatering, “Flan” is a Madagascar vanilla bean flavor with a touch of caramel. With a 70/30 VG/PG ratio, Blue Moon’s CBD oils can either be vaped or taken sublingually and provide a clean, pure, and tasty way to dose your CBD. What Is CBD Vape Oil? Unlike CBD oils made specifically for oral use, CBD vape oils can be used in multiple ways and can be vaped, taken sublingually, or even rubbed into your skin. You can either vape CBD vape oils on their own, or add them to your favorite ejuice for seamless dosing. Firstly, CBD will not get you high, nor will you get the munchies, cottonmouth, red eyes, or paranoia. What you will get are a number of medical benefits that can be extremely effective for certain conditions. CBD vape oils are used for the effective relief of pain, anxiety, depression, stress, sleep apnea, high blood pressure, and much much more. One of the main uses for CBD oil is in the treatment of epilepsy, where many have seen a drastic reduction in the number of seizures they experience. Many stop having seizures altogether when on a regular dose of CBD, and it is definitely a life changer for those suffering from epilepsy. What’s The Difference Between Full Spectrum And Isolate CBD? There are two main types of CBD oil, full spectrum and isolate. With full spectrum CBD oil, you get the benefits of multiple different terpenes and cannabinoids, not only CBD. With CBD isolate oil, the CBD is isolated from all other cannabinoids and you’re left with a pure CBD concentrate that is free of anything else. One is not necessarily better than the other, and you’ll have to see which works best for you. However, not all full spectrum CBD oils will pass a drug screen, so be careful if you work somewhere that requires them. What Can I Use To Vape CBD Ejuice? You’ll be happy to know that all of the CBD vape oils on this best of list can be vaped using your existing vaping set up! There’s no need to buy a specialized device, however they do carry some benefits that will be discussed in another article. Simple fill your tank up with the CBD vape oil or add some to your existing tank of juice, and vape away! The Versed Vaper team are a group of passionate and experienced vapers who take pride in writing helpful, quality content about vaping. From deals, to news and reviews, we've got you covered on all things vaping. Remember to subscribe to our newsletter, and follow us on Twitter, Instagram, and Facebook! 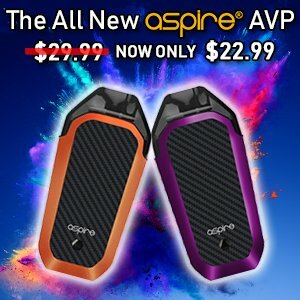 Win Free Vape Gear with our Vaping Giveaways! Whether you’re looking to find general information on e-cigarettes, vaporizers, and vaping, looking for information on vaporizer safety and their effect(s) on your health, or looking for detailed mod, accessory and juice reviews, Versed Vaper is the only resource you need to stay informed and up-to-date. Copyright © 2019 Versed Vaper. 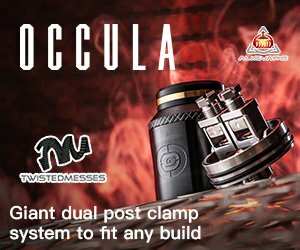 Dovpo Topside Dual Review — The Best Dual Battery Squonk Mod? Outkitel Nano Review — A Simple Pod System, But Is It Effective?